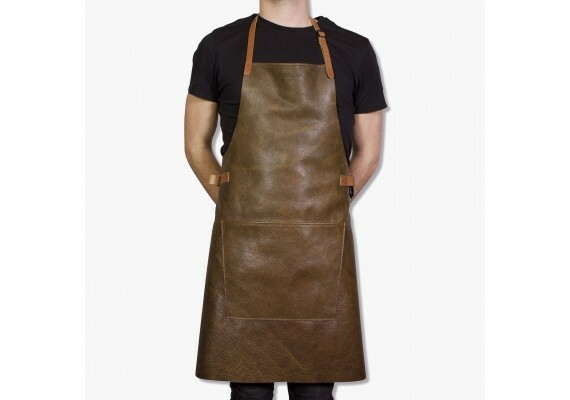 This apron has been handmade in the Netherlands with 100% full grain leather. Regular use and passage of time will create a patina, a soft sheen that develops on the surface of the leather. Which makes this product even more beautiful by using it! The apron was treated with a transparent dirt-repellent coating which makes it easy to rinse en clean. This Dutch Deluxe apron is a one-size-fits-all and is packaged in a beautiful gift box with 2 black metal clips and a loop for a towel. 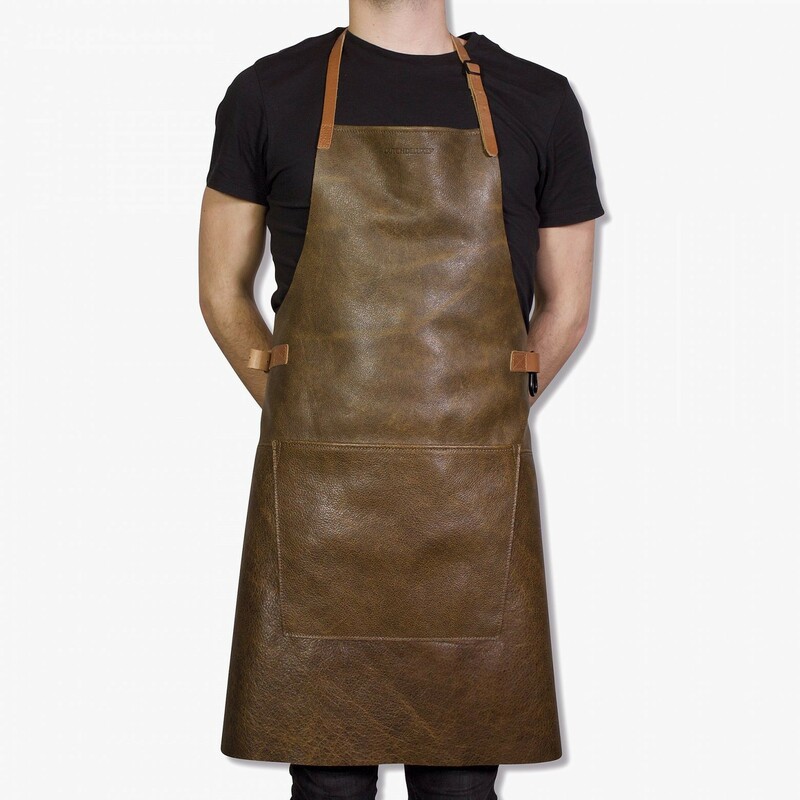 This apron is made from 100% full grain leather, finished with some metal details.